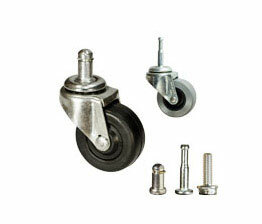 Casters for hardwood floors require softer wheel types that will not damage the floor, either by marring or marking. 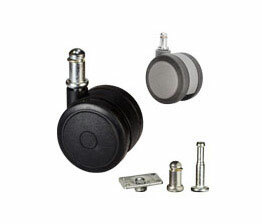 For the best hardwood floor casters, choose floor protecting wheel selections with soft treads; use thermoplastic rubber (industry leading Softech), urethane wheels (rugged metal body Pacer), neoprene or polyurethane. Hardwood safe casters are also highly recommended for laminate floors, vinyl and linoleum floors, and tile floor surfaces. 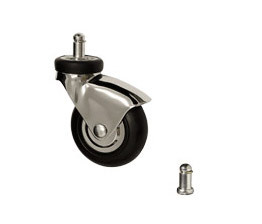 Also, our valued customers tell us that these casters work great on floors with epoxy coatings, especially the Softech models, which are tops in the industry for soft rubber chair casters. 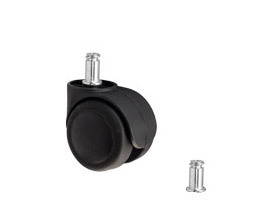 The 7/16" grip ring stem will be the most common found in Herman Miller, Hon, Chromcraft and many other top brand office, task, and computer chairs. As always, we recommend measuring your caster stems before ordering. 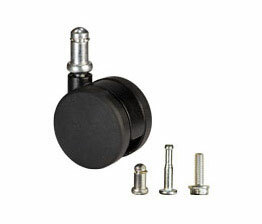 Visit our "How to Measure Caster Stems" page or call 1-800-215-8220 for assistance. 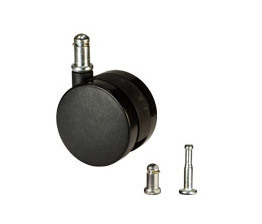 Would you like help measuring or replacing your casters? Send us a sample (stem included) and we'll make sure you get the proper replacement. 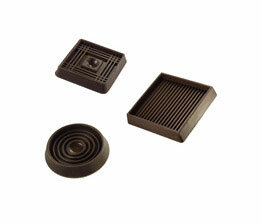 Get information on sending us caster samples. 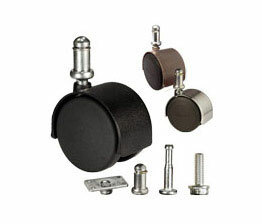 When replacing just one worn or broken chair caster, often other problems arise, such as rocking or poor rolling. If you desire to purchase a single caster or volume less than a set, we recommend speaking to our on-location sales staff. They can help!